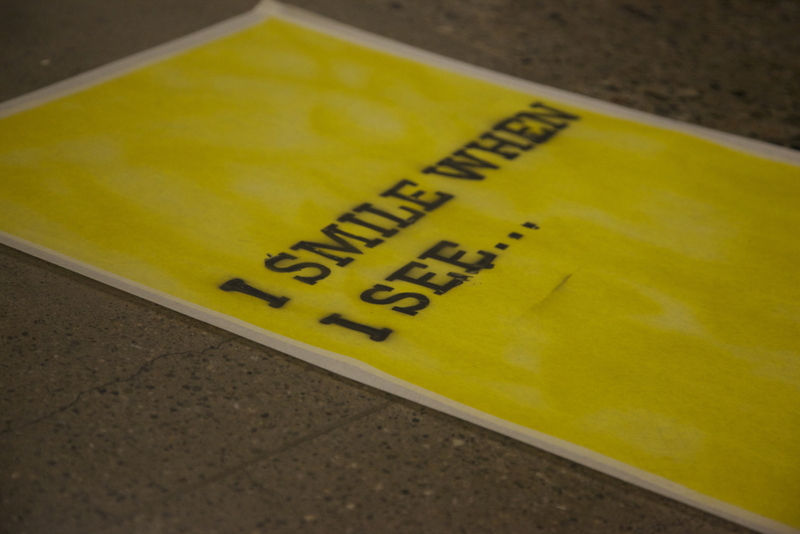 This elevator experiment, designed by Maria Stangel and I, was implemented to test the comfortability of our community to share stories within a compact environment. In general, elevators seem to stifle any sort of action, so we thought it would be an interesting environment to stimulate storytelling. 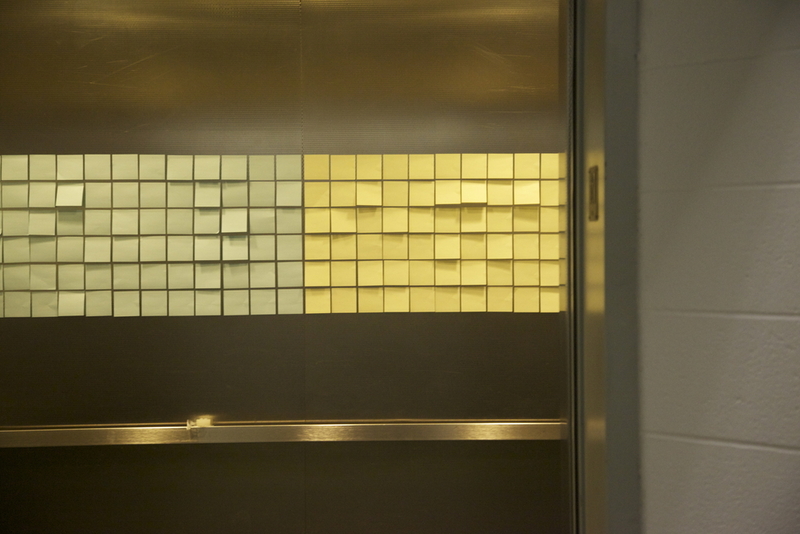 After covering the walls with color-coded post-its, we applied prompts to the doors of the elevator which we only revealed once the users had entered and the doors had closed.